Where is the Fortnite crown of RV’s? Fortnite season 7 is here and we’re trawling our way through all the cool new items and features Epic Games are bringing to the biggest battle royale mode around. 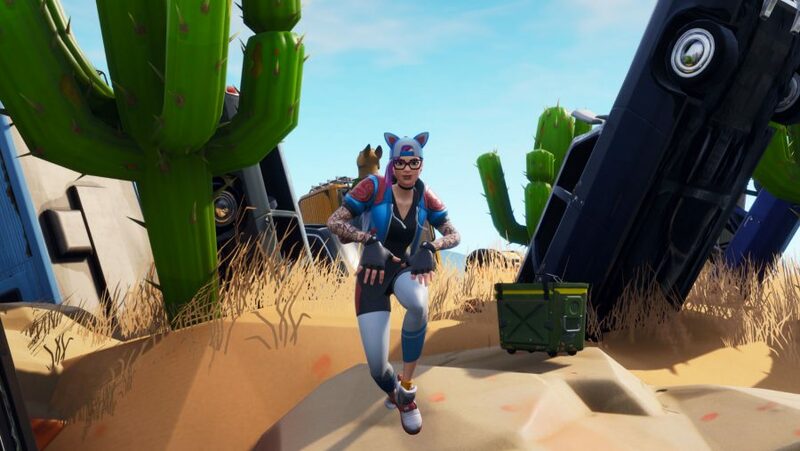 But while the shiny new stuff is exciting, challenge hunters like you will be ready to get a head start on your Fortnite challenges, so we’re here to help you find the Fortnite crown of RVs. Just like last season there are three free challenges each week, but this is one of the four Battle Pass ones. So, if you want to pick it up, it costs 950 Fortnite V-Bucks. That gets you 100 tiers of Battle Pass goodness to tackle. That means more skins, Back Blings, harvesting tools, and brand new for season 7, Fortnite weapon skins called Wraps. If you’ve missed all the new stuff on its way for Fortnite season 7, make sure you check out the Fortnite patch notes 7.0 in full. 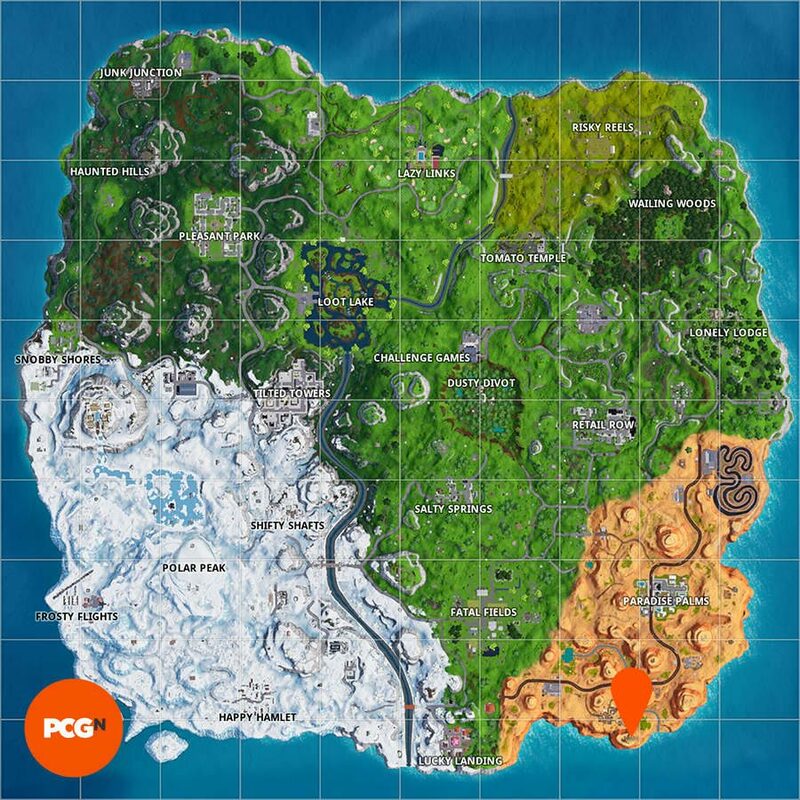 The most crucial new features are the Fortnite season 7 map changes – including the new iceberg area in the south-east – plus some cool Fortnite planes to fly over the map. 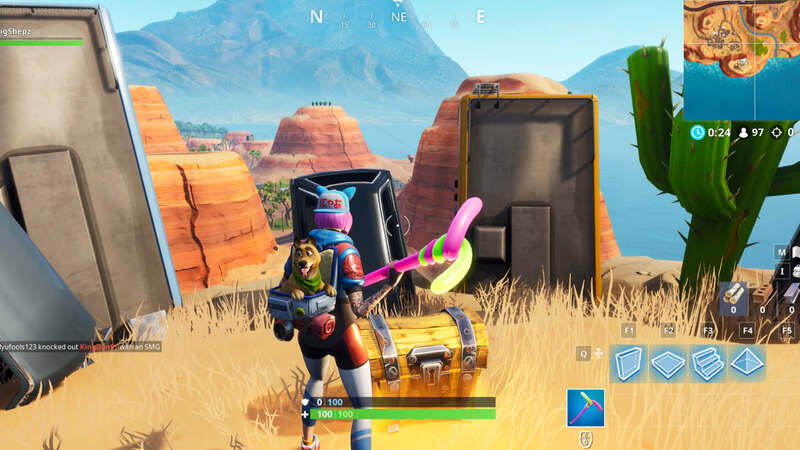 Anyway, back to business, here’s where the Fortnite crown of RVs is located. Below is a map (click to enlarge) and a screenshot that shows where to dance on a crown of RVs. It is right in the south-west corner of the map, in the desert biome of Paradise Palms. It is just to the left of river that flows into the sea to the south of the island. The next stage of this challenge concerns the Fortnite metal turtle, with the final one being the Fortnite submarine. Once they’re all done you’ll have even more Battle Stars to progress through the Battle Pass to get even more goodies. Don’t forget about the rest of this week’s challenges, however. You’ve also got to keep dancing at seven Fortnite forbidden locations and track down a secret Battle Pass tier as part of Fortnite Snowfall week 1. Now run/fly/slide along, you’ve plenty to be getting on with.